The National Cathedral is a national disgrace. A long time ago, this edifice was given over to sin and rebellion against the Lord! It was the center of the homosexual “marriage” movement and now this. Shepard is not a martyr, but he was the victim of a robbery that turned violent. He was not killed because he was a homosexual. This all came out during the trial. Malachi 3:16 Then they that feared the LORD spake often one to another: and the LORD hearkened, and heard it, and a book of remembrance was written before him for them that feared the LORD, and that thought upon his name. (17) And they shall be mine, saith the LORD of hosts, in that day when I make up my jewels; and I will spare them, as a man spareth his own son that serveth him. “The Washington National Cathedral in the country’s capital is slated to become an unlikely symbol of homosexual activism following the news that it will be the final resting place of murdered University of Wyoming student Matthew Shepard. 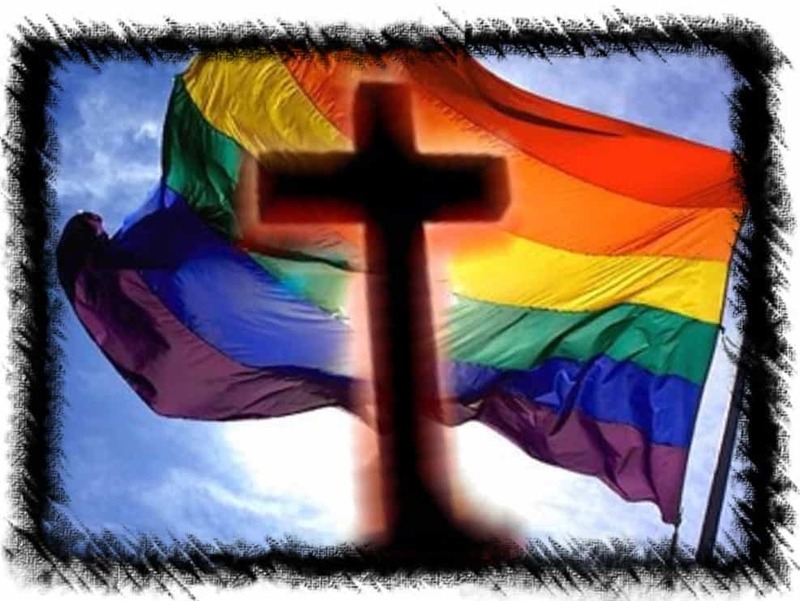 The family of Shepard, a 21-year-old homosexual man brutally beaten to death in 1998, has decided to have his ashes interred in the crypt of the iconic Episcopal cathedral, the Washington Post reported. His parents had previously kept his ashes for fear of drawing unwanted attention to a public grave, but have now settled on the cathedral ahead of his murder’s 20th anniversary on Friday. “New White House Counterterrorism Strategy Singles Out “Radical Islamists” This is great news. The US government will now be confronting real Islam and the terrorist part of it! It is so refreshing to the government stop playing games and deal directly with terrorism! 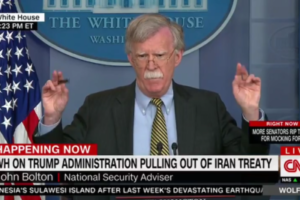 “The Trump administration is implementing a new, government-wide counterterrorism strategy that places renewed focus on combatting “radical Islamic terrorist groups,” marking a significant departure from the Obama administration, which implemented a series of policies aimed at deemphasizing the threat of Islamic terror groups. While the Obama administration sought to dampen the United States’ focus on Islamic terror threats, the Trump administration has made this battle the centerpiece of its new strategy. “Scientists Freak Out Over Pandemic Potential Of Genetically Engineered Smallpox” I wonder if the end time pestilences the Bible mentioned could be manmade! Evil minded people use bioweapons to kill even into the billions of people! Hopefully we will be with the Lord before these weapons are used. “Following the release of a paper earlier this year which describes how researchers stitched together segments of DNA in order to revive horsepox – a previously eradicated virus, scientists have been flipping out over the possibility that bad actors may use the study as a blueprint to revive smallpox. When I read articles like this, it home what the future is going to be like. There is no future for mankind except for the coming of the Lord Jesus. “China is moving towards merging AI with humans, and the United States Defense Intelligence Agency sees this as a major concern for the future of warfare. 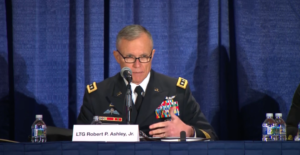 Speaking at the Association of the United States Army annual meeting on October 8, Defense Intelligence Agency (DIA) Director Lieutenant General Robert P. Ashley, Jr. said that one of the biggest decisions that the United States military will have to make is how to deal with the “integration of humans and machines” that China is pursuing. 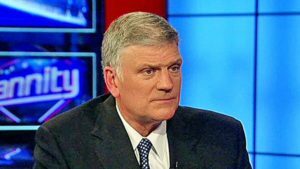 “Franklin Graham: ‘What has happened’ to Dems?” All real Americans will soon be out of the Dem party. It is now turning into the hardest of the Hard Left with hatred for God and America. The division between real Americans and the Hard Left is very clear and getting clearer by the day. These are dangerous people who loathe us. Does anyone know if Andy Stanley is a false teacher? My sister has been watching him…. I keep telling her, please do not be deceived. Jim Fletcher, who writes for Rapture Ready’s “Israel Watch” and other sites, puts Andy Stanley up there with Rick Warren and Bill Hybels and the mega-church crowd. Most of these are against Israel, and he has specifically called Andy out on this more than once in his weekly column. I personally have not watched him,but I’ve heard things from credible ministries that show we should,as with all teachings,see if it lines up with Scripture..If it doe’s keep it,if not toss it.I DO know his dad,Charles Stanley has a great ministry,and for as long as I have heard/seen him..he’s been very accurate regarding handling the Word.There is no perfect teacher except for the Lord/Holy Spirit…but I can highly recommend Charles Stanley and in touch ministries as far as I know them.Very solid from 20-30 years listening. Previous story Incredible Debate in Pakistan: Who is Israel’s Messiah?